Written by 6/16/2008Share this story on Facebook! The Park School welcomes experts in all fields of communications for lectures, workshops, seminars, classes, and presentations throughout the year. Each year the Park School of Communications takes great pride in bringing top communications professionals to campus to share their insights and experience with students, and this year was no exception. The Park School hosted Today coanchor Natalie Morales as this year’s Jessica Savitch distinguished lecturer. Morales is best known for her coverage of such events as the Olympic Games, Hurricane Katrina, the Tsunami disaster, and the 2004 presidential election. 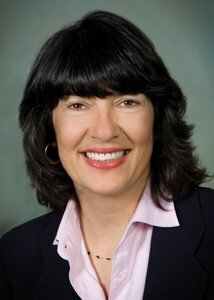 The College also welcomed Christiane Amanpour, CNN's chief international correspondent, as a Park distinguished visitor. Amanpour is widely acclaimed for her exclusive interviews with world leaders and on-location reporting from global hotbeds like Iraq, Afghanistan, Iran, Israel, Pakistan, Somalia, Rwanda, and the Balkans. During her three-day residency, she will present a public lecture and conduct master classes with students and faculty. Other recent guests have included Washington Post editor Bob Woodward, David Muir ’95 of ABC News, and Mara Liasson, national political correspondent for NPR.